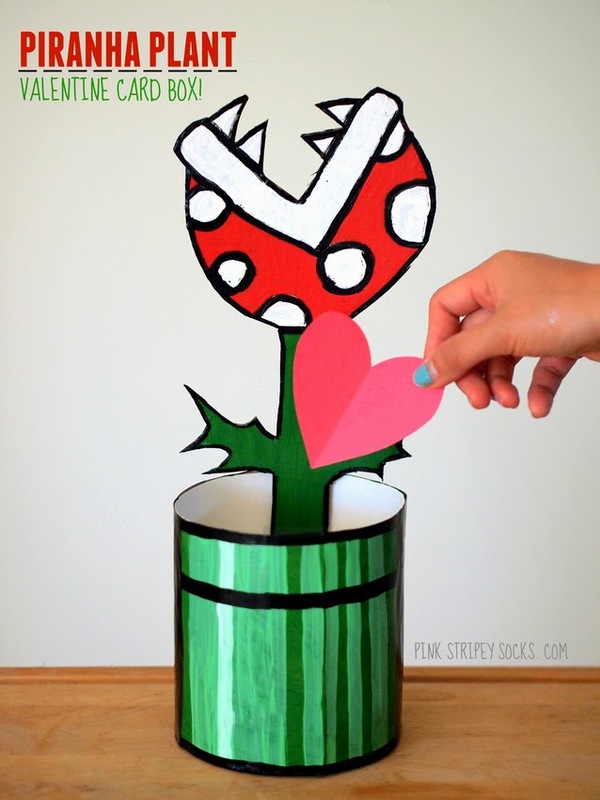 Let's make ourselves a Piranha Plant Valentine Card box! 1. Trim your oatmeal box. 4. 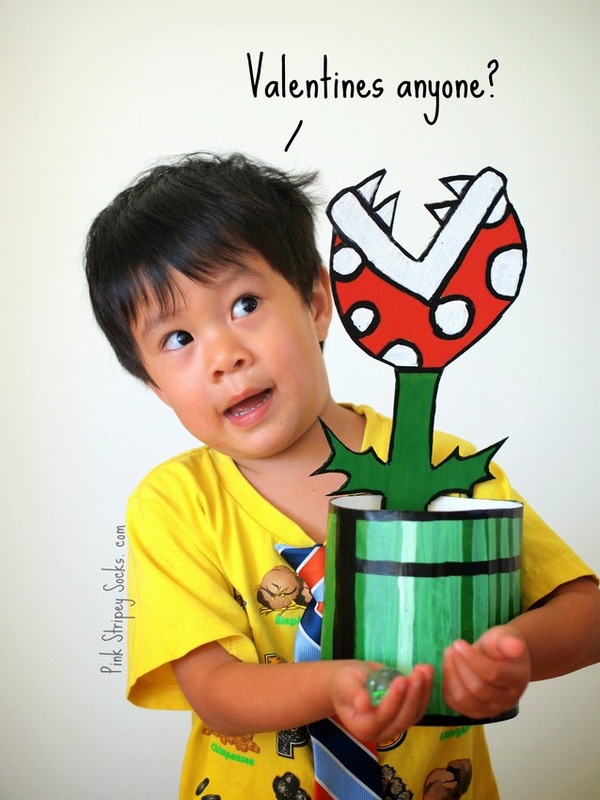 Hot glue a craft stick to the back of your piranha plant stem. 5. Tape your plant stem into your oatmeal container. Now you just have to feed it Valentines! This would be a great Valentine Card Box for a kid that isn't really into the traditional hearts and flowers scene. It's pretty easy to make, so you could even complete it in one night! Here's what it looks like with a lovely blue background attached. To learn more about these products, you can follow Plaid Crafts on their Pinterest, Facebook, or Instagram accounts. Or you can specifically learn more about Apple Barrel paint here and Mod Podge here. Like this idea? Here are some other fun ideas for Valentine's Card Boxes below.